Top 4 Products for a Job Interview! Hello everyone! It is job hunting season for me which is both exciting and exhausting. I don’t always have a lot of time to get ready in between classes and interviews so I’ve been narrowing down my makeup to my top products that I need. (My skin is usually pretty clear which is why I haven’t included any face products in this post.) 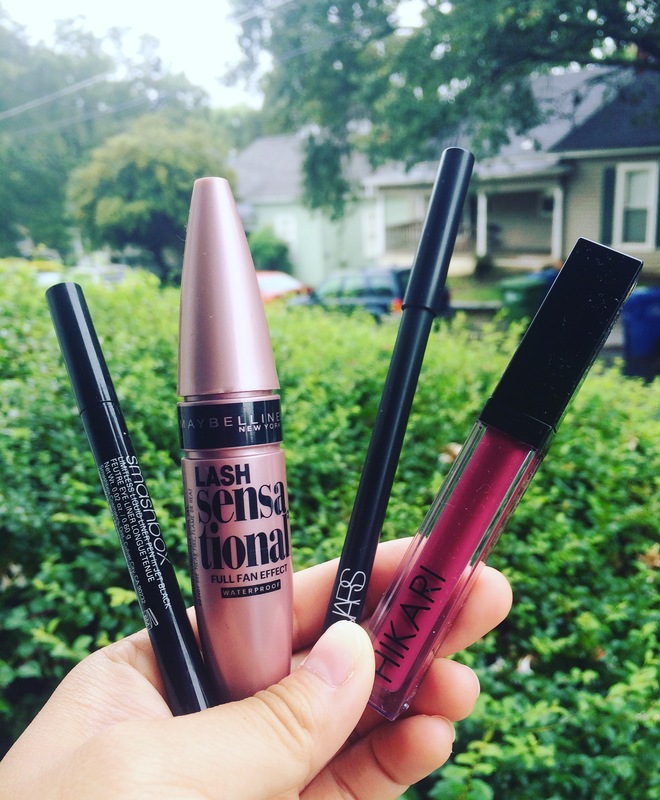 Here are my top 4 products for a job interview! Smashbox Limitless Liquid Liner Pen– I have told you guys time and time again that this is my favorite liquid liner. Super black and really waterproof. See my full review here. I’m also looking for drugstore alternatives so if you have a recommendation please let me know! Maybelline Lash Sensational Mascara (waterproof)– Girls, I recently just picked this up and love it! It gives a full fan effect and lengthens and volumizes my lashes. Maybelline has done it again! NARS Larger Than Life Long-Wear Eyeliner– Love how black and long wearing this eyeliner is! See my full review here. Hikari Cosmetics Lip Gloss in “Merlot”– This product was in my last blog post as a fall essential (see here) but it is seriously a great product! Such a pigmented lip gloss that is like a lipstick and lipgloss combined. It’s the perfect finishing touch of confidence. Good luck to everyone else in the job hunting season! It is a lot of work but I hope we all get our dream job!